On March 31st our speakers will confound, contort, amaze, and astonish you. We can’t wait to hear them share and reveal things that the audience will remember forever. The planning team chose each speaker with great care and deliberation and they are all superlative examples of this year’s theme, Becoming Extraordinary. So often people guard themselves, masking who they are, and the Reverend Renee Ward strives to take these masks off. “Be honest,” she says, “and dismiss the pretense that everyone will like you or agree with you.” This sounds simple enough. Take the mask off and open yourself for a moment to those things that unite us—love, family, food, music. But what if you’re asked to keep the mask off? To keep your guard down? For many years, Ward has successfully done just this. She’s courageously championed causes close to her heart without worrying about what people think or whether they agree with her. In 1998, following the death of her husband from an AIDS-related illness, Renee founded Chrysalis Ministries, a faith-based nonprofit agency. 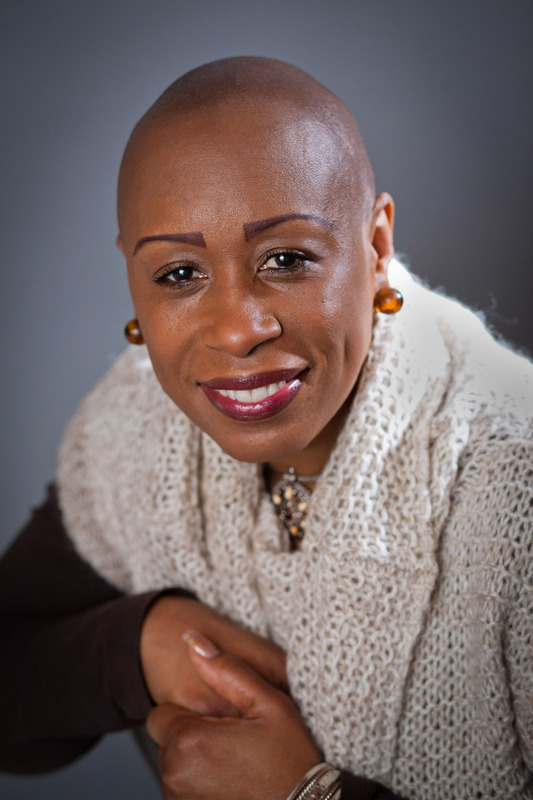 Since then she has been featured in a 30-minute documentary entitled, “Who Will Speak for Me?” which profiled African Americans of the Pacific Northwest whose lives had been impacted directly or indirectly by HIV/AIDS. She has also established two programs to educate, advocate, and empower those struggling with breast health and cancer. Lately she’s been working on four separate books which she plans to release in 2012. All of Ward’s actions are informed by her beliefs. “I’m blessed and I am not ashamed to tell the world how good God has been to me.” she says. If you’ve ever seen a circus, you know that the body is a strong and pliant thing. Performers push themselves to do things that stretch the limits of possibility until you’re left to wonder whether what you’ve seen was actually magic. Starting at a young age, Jenn Cohen, director and founder of the Circus Project, was fascinated with this magic. She’s studied the art of circus and has been a circus performer and coach for over 20 years. What she loves most is the potential of circus, that it’s an open form. “Circus is about embracing the totality of who we are and bringing it forward in a way that makes it beautiful and magical and celebrates it” she said recently. Cohen began the Circus Project in Portland in 2008 as a way to harness this magic and potential so she could share it with the community, especially homeless and at-risk youth. She has a master’s degree in Process Oriented Psychology and through circus, counseling, personal-development, work study, and very high expectations, the lives of these youths end up transformed. Like many big cities, Portland has a large homeless population, many of whom are young adults and teens. They exist on the fringes of society, but that’s exactly why the circus makes sense. People have always run away to join the circus and what they find is a family of like-minded individuals on the margins. They end up finding each other, but they also end up finding themselves. Cohen describes herself as a big dreamer who’s always looking to be more present in her life. She’s grateful that she’s been able to do work that’s so close to her heart. Last fall “We are the 99%” became the rallying cry of the Occupy Movement. What began with Occupy Wall Street soon spread to cities nationwide, including our very own Portland. The movement has been at once praised and criticized for its organizational methods and its goals of fighting social and economic inequality. Some didn’t know what to make of a movement where anybody who wants to participate has a voice and there are no set leaders. Others saw in it a new vision of democracy and the power people still have to enact change. The story of Occupy Portland has been chronicled by both local and national media. Coverage of the police confrontations, the downtown camp, and the protests throughout town have provided the public with a glimpse of this movement. Many people still have a limited view of why the protests took place and what the movement has accomplished. 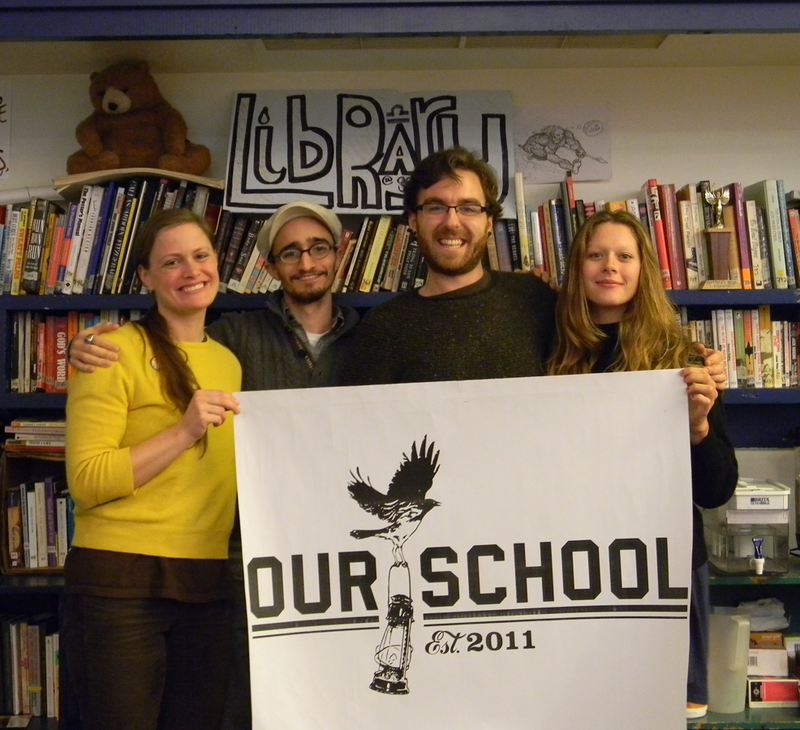 Along these lines, we’re pleased to welcome Liam Doherty-Nicholson, Hilary Boyd, Mark Nerys, and Elmira Rodriguez from Our School-Occupy Education to our stage. Together they’ll discuss Occupy’s past, present, and future. They’ll speak about phase two of the movement, which involves discussion with the community, community improvement projects, and free education through the “Our School” program. By no means do their views reflect the entire Occupy Portland movement. They’re all individuals who believe in unique ideas—One believes that people should talk to their neighbors face-to-face and engage in compassionate communication. Another believes in bringing oneself closer to truth to find the distinctions between arbitrary cultural programming and genuine reflection. Another believes in what Frank Zappa says: “Without deviation from the norm, progress is not possible.” And another believes that wherever awareness takes hold, ideas form and actions are taken to bring forth something extraordinary—yet they’ve come together in support of a common cause.